This week is Copyright Week, a series of actions and discussions supporting key principles that should guide copyright policy. Every day this week, various groups are taking on different elements of the law, and addressing what’s at stake, and what we need to do to make sure that copyright promotes creativity and innovation. Today’s subject is the Public Domain. Despite nearly 25 years of efforts to fully harmonise digital law in Europe, the road to a harmonised copyright system is certainly not a speedy highway. In fact, each Member State still has its own copyright system that applies within its own territory. One of the areas where this is most visible are the rules for determining when a particular work enters the public domain because the copyright term has expired. Antoine de Saint-Exupéry was killed in 1944, during a flight over the Mediterranean Sea. “The Little Prince”, his best-known book, is the third most popular novel in the world, translated into over 250 languages over more than 600 translations. More than 80 million copies have been printed. If you know a bit about the rules for determining when a work goes out of copyright, we can assume that on 1st January 2015 “The Little Prince” became part of the public domain. This is because in France copyright lasts for 70 years after the death of the author. And since Saint-Exupéry died in 1944, this would put “The Little Prince” into the public domain in France. However, the harmonization of the duration of copyright is not uniform. In France, works of authors who died for France during the First and Second World Wars benefit from additional copyright protection. Copyright for works created by these authors is extended for an additional 30 years to compensate for the losses and difficulties in the commercial exploitation of their works during the war. Beginning this year, “The Little Prince” is in the public domain almost everywhere in Europe. But in France, the novel will pass into the public domain sometime between 1 May 2033 and 1 January 2045, depending on your interpretations of the rules! Interestingly, Canadians have been freely using “The Little Prince” for the last 20 years, as copyright expires there 50 years after the death of the creator. The French exception may seem surprising to you, but it’s not an outlier. There are multiple other such exceptions present in various European countries. When such irregularities are combined with inconsistent terminology within the European Directives (not to mention differences in the ways the Directives are implemented at the national level) along with unreliable information on the dates of death of the authors, we see we’re a long way from sensible harmonization of copyright law across Europe. Fortunately, there is good news: establishing a single European framework that enables cross-border flow of products and services is one of the priorities of Jean-Claude Juncker, the newly elected President of the European Commission. The recent report by MEP Julia Reda on the evaluation of the Copyright Directive (2001/29/EC), and tweets made by Commisioner Oettinger and Vice-President Ansip about the need of new copyright rules, are all hopefully signs of coming change. We hope that we’ll be able to report about it during Copyright Week 2016. 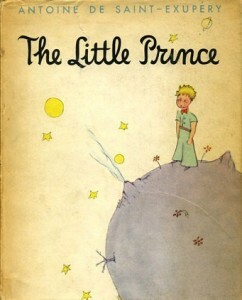 (Paul Keller wrote about “The Little Prince” and the public domain on this blog in 2012). This entry was posted in general and tagged copyright term, Copyright Week, france, Public Domain. Bookmark the permalink.